STANN CREEK DISTRICT, Sat. Aug. 29, 2015–the Citrus Products of Belize Limited (CPBL) held an end-of-crop meeting with citrus growers on Saturday, August 29, on the CPBL grounds in Pomona. 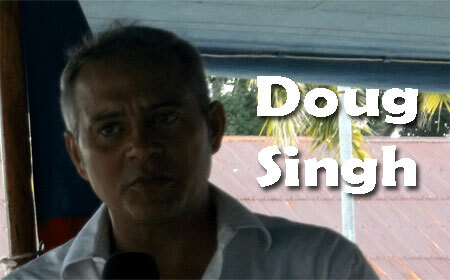 The chairman of CPBL, Doug Singh, presented on behalf of CPBL, the owners of which include Banks Holding Limited of Barbados, which owns 46.6% of its shares; Belize Citrus Growers Investment Limited, which owns 41%; the Social Security Board, which owns 10%; and several other shareholders who own 2.4% of the company. CPBL has subsidiaries that include Belize Food Products, which is the facility in Alta Vista; Citrus Company of Belize, which is the factory in Pomona; and also various agricultural entities that grow citrus, which include Barton Creek Farms, as well as investments in Hummingbird Citrus Limited. Singh, in reporting on the CPBL’s deliveries, noted that the year 2008 marked the company’s largest delivery in recent years, with a total of 7.1 million boxes being delivered in that year. The company saw a reduction in 2009, and further reductions in the following years until 2012, when there was a bumper crop, following which there have been further declines to the levels of production we have been experiencing over the last three years – production lower than 5 million boxes. Singh mentioned that there is a commitment to pay the farmers 65% of the citrus revenue collected on their behalf in the first payment, 20% in June and 15% in September. Singh explained that in an effort to get the best possible prices for the company’s citrus, they tend to hold on to the citrus and refrain from selling until a worthwhile price is negotiated. He then noted that during the 2014/2015 crop season, growers were very considerate in accepting a lower first payment to allow the company to hold on to the products. Citrus prices had dropped to $1.09, he said, and with that price, said Singh, their total revenue would have been much lower, so they decided to wait for a better price. “We have to watch the market indicators to lock into a price that could maximize what we can give to you [the shareholders],” Singh explained. He went on to say that it is projected that CPBL will make about one million dollars in profit for the fiscal year 2014-2015. A financial audit is still pending, since the 2014-2015 fiscal year does not end until September. The CPBL Board of Directors had decided to close one of its factories, Citrus Company of Belize (CCB,) therefore making the primary processing facility the Belize Food Products Limited (BFP), located at Alta Vista, Stann Creek District. The decision was aimed at increasing the yield while decreasing operational costs, Singh said. The consolidation program is presently underway and is expected to be completed by October 2015. “We are also reorganizing the group of companies to make them more efficient. Outside of what the growers are doing, we need to set a standard. We decided to reinvest substantially in our growth and what we have done is we are replanting and we are expecting that to be done by December of this year – of 970 acres of citrus that we are replanting on existing rows and 550 new acres we will be doing next year. That is a total of over 3 million US dollars that is our part in increasing productivity,” Singh added. The Chairman told Amandala there is a disease known as Huanlongbing (HLB) that has been attacking the fruits, which has affected productivity, and that the company is doing all it can to eradicate it.